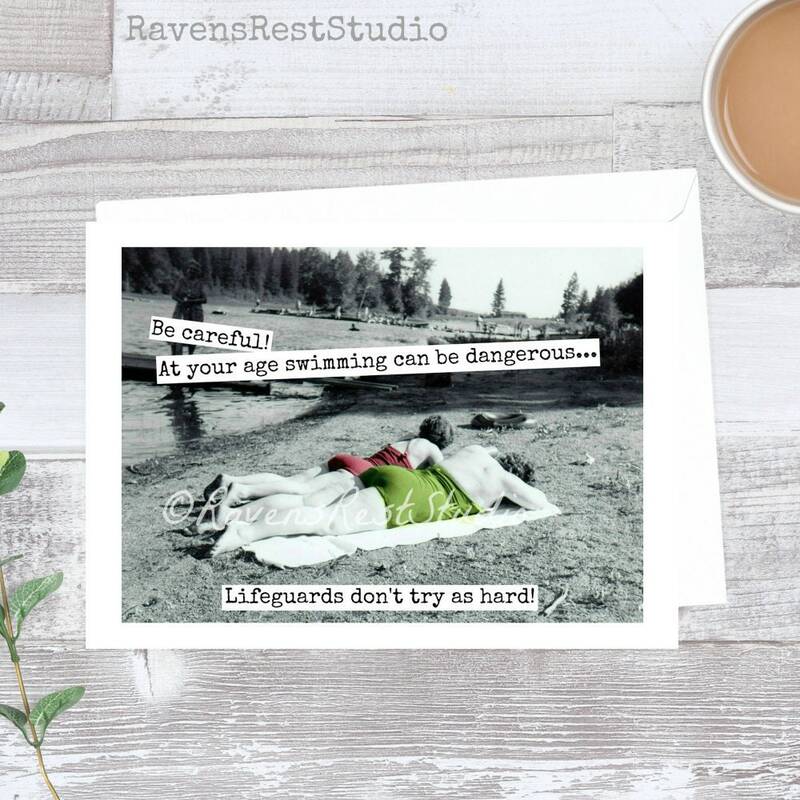 This card features two vintage sunbathers and reads: "Be careful! 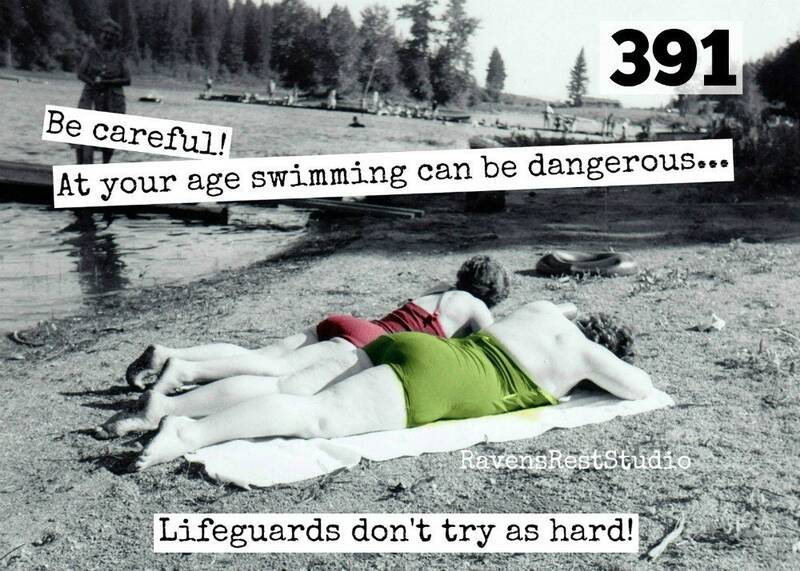 At your age swimming can be dangerous... Lifeguards don't try as hard!". Quick shipment of funny birthday card with vintage photo. Very cool.